2) It’s really too bad that Kolb was not the end of the bullpen pestilence that has smotededed the Braves over the years. Blaine Boyer began the year with a 40.5 era over 3 appearances and 1.1 innings. The silver lining? HE WAS DESIGNATED FOR ASSIGNMENT!!! That ain’t new, baby! WOOO WOOOO! 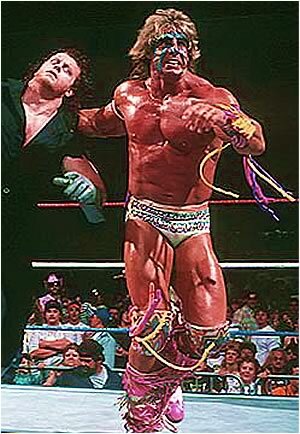 The ultimate warrior wore a muscle suit at one point during his comeback tour. It was possibly the greatest moment of my childhood.